While stalking the plows of many CNY shopping centers I also spent some time looking for the normal variety that we all know and love. I came across this older Freightliner FL for the Town of Dewitt as large lake effect snow began to fall. While it looks ominous in the photo it never really amounted to much as the day went on. What a shame. This season I’ve started a project to collect plow action via dashcam. Right now I’m thinking the video might be ready toward the end of winter but if I come across enough footage there might be two films. 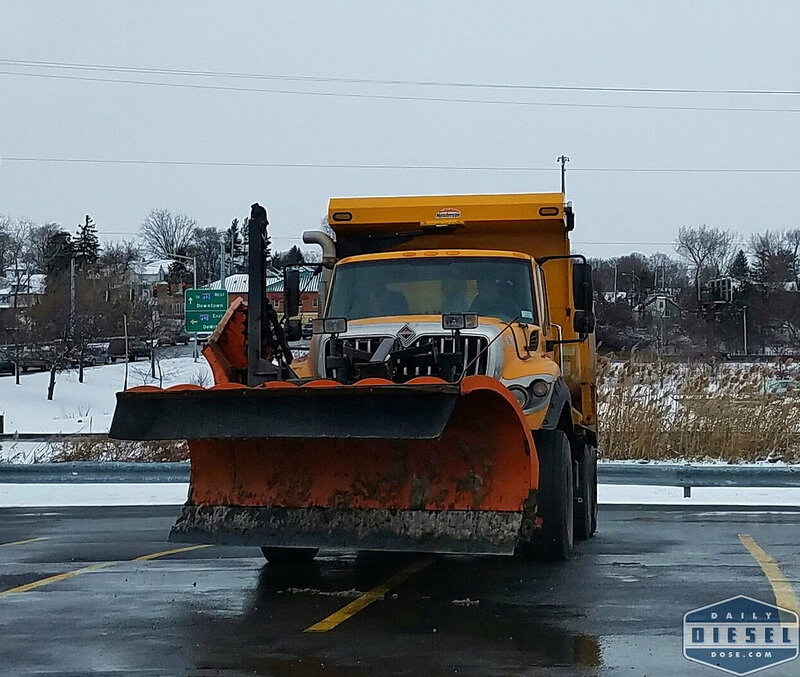 The other day I came across truck 158 of the Onondaga County DOT as it was cleaning shoulders. I figured this truck would be a perfect addition to the dashcam project once a single pickup moved out of the way. To make a long story short the pickup did eventually get out of the way but replaced by a car, a van, a van with a mobile lift and pickup. Better luck next time kid. I caught up later with the truck while the crew was taking a well deserved break. 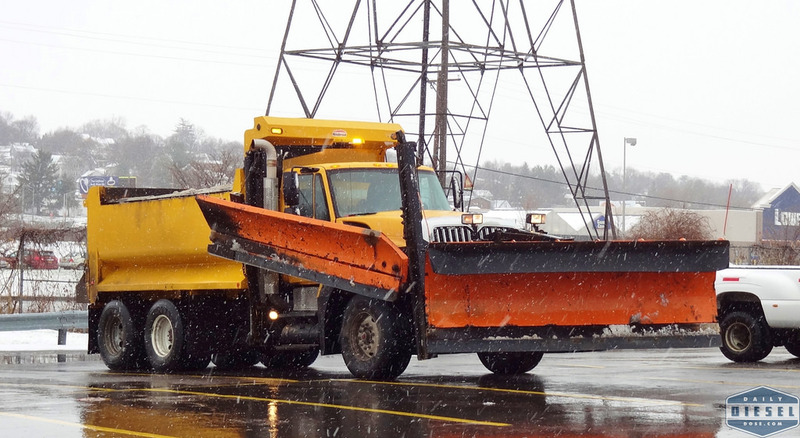 Did you ever think you would see the day when NYS ran “murdered out” plows? In case you can’t tell murdering a vehicle occurs when every piece is painted black leaving no chrome pieces visible. Usually the windows are heavily tinted but we’ll look past that fact for the moment. No word on if the bulldog on the hood received the same treatment. The other day Seth happened across this truck about 45 minutes outside of NYC. Wearing MTA license plates this rig is one of thirty former NYSDOT trucks spared from the surplus lots and given a second life as barrier trucks for high profile public gatherings. Usually filled with sand these trucks are lined nose to end across streets to prevent attackers from driving vehicles into crowds. It appears that NYS now has a permanent fleet of dedicated barrier trucks for the never ending spectacle that is the Big Apple. Great catch by Seth with this one. Make sure to check out his website, x635photos.com for more! In the gallery below we have a shot of some plows from the Syracuse DPW, another shot of the OCDOT 158 truck from above and a rear end shot of OCDOT truck 114 that happens to be an International 2574 still soldiering on. Love that Pimp My Ride bumper sticker. 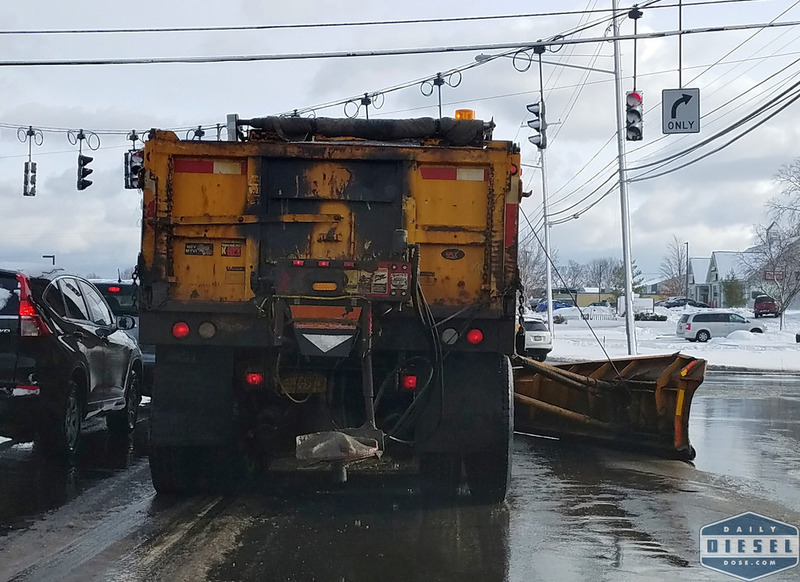 This entry was posted in Snow Plows and tagged mack granite, nysdot, onondaga department of transporation, snow plowing, town of dewitt highway department. Bookmark the permalink.